Dental implants replace missing teeth by implanting a titanium root structure in the bone at the area of the missing teeth. The implant and the bone with then integrate with each other, providing a platform for the crown on top. 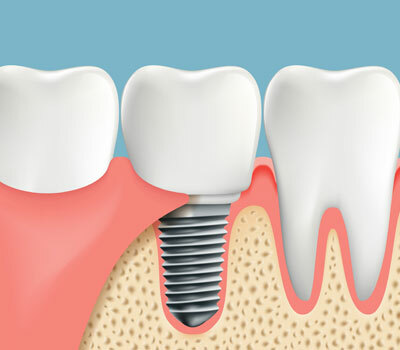 Implants have astounding success rates and is the most ideal way to replace missing teeth if the conditions are right. A consult with Dr. Henna will determine if you are a great candidate for dental implants.